Franklyn Johmuil is a bold Cotton Polyester Fabric Blend, rich in colour, texture and composition. The perfect material to brighten up any interior with elegance. Due to the raised weave, a stunning depth is created in the silky shimmer, complimenting the yellow gold with neutral off-white. 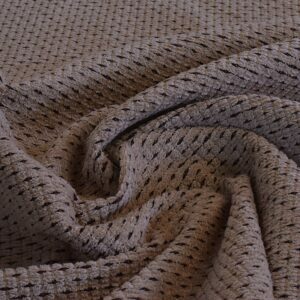 Complimenting green dots intervene in both colour and texture, and increase the soft touch of this fabric. 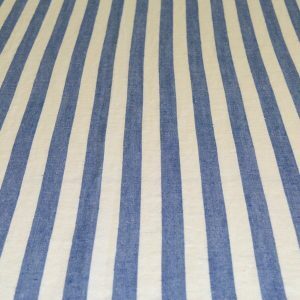 This fabric suits upholstery, soft furnishings, curtains and blinds as the man made fibre and cotton create a strong fabric. 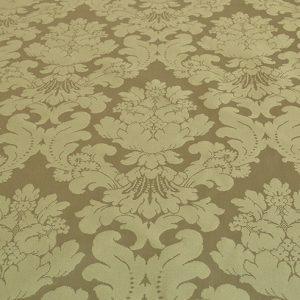 In addition, this fabric is part of the Cotton/Polyester fabric collection. Material: Cotton Polyester Fabric Blend.